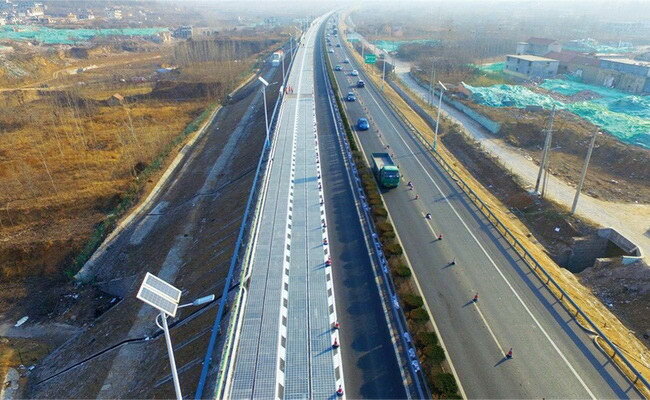 China on Thursday unveiled a 1-km solar panel toll test in Jinan, capital of Shandong Province, east China. 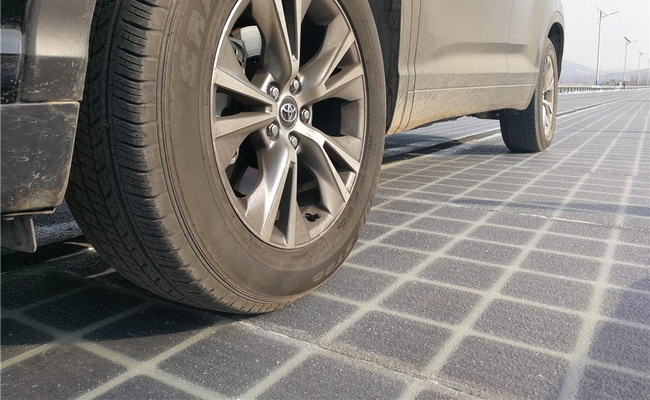 Solar panels are attached to the road surface made under transparent material and strongly resist heavy vehicles where sunlight will penetrate. Qilu Transportation Development Group as the project developer said the panel covers an area of 5,875 square meters to produce 1 million kwh of power in a year which is enough to meet the daily demand of about 800 households. "This project will save space and shorten the transmission distance," said project head, Xu Chunfu. Electricity will be used to power street lights, nameplate, surveillance cameras, tunnels and toll gate facilities. 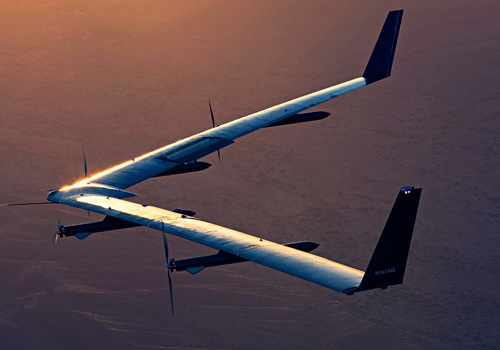 The surplus power will be supplied to the grid. Future plans will be developed to charge the electric vehicle battery and provide internet connection. The road has three translucent concrete layers on top where thin amorphous silicon panel in the middle and waterproof protective layer at the bottom. Developers say the road is designed to have endurance 20 years into the future. China leads the world in the development of solar power which until the end of September reached 120 gigawatts. 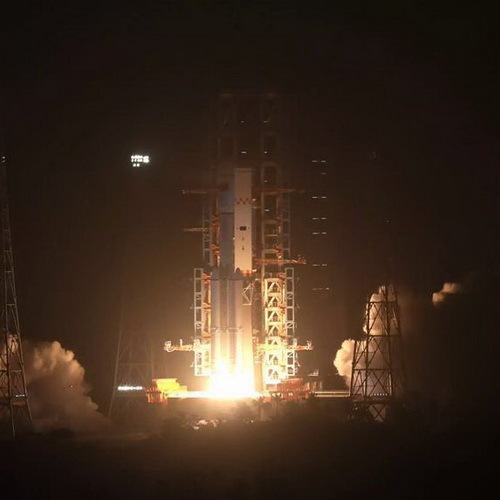 "The top layer has good flexibility to withstand the pressure of large vehicles and protect the fragile amorphous silicon boards underneath," said Zhang Hongchao who was involved in the development of the project.